Whether the world's best truffles are found in Piedmont or Perigord inspires impassioned debate, but the effects of dwindling supply and insatiable demand for the elusive, ultimate mushroom are unquestionable: prices through the roof, intrigue and deception, and ever more intensive efforts to cultivate. Here in the most comprehensive practical treatment of the gastronomic treasure to date, the art and science of the high-stakes pursuit come together. The authors describe the commercial species in detail along with their host plants, natural habitats, cultivation, and maintenance, pests and diseases, and harvesting with pigs, dogs, truffle flies, and even the electronic nose. Authors: Ian R. Hall, Gordon T. Brown, and Alessandra Zambonelli. Format: Hardcover, 304p, 15 x 23cm, 158 colour photos. About Ian Hall: Ian R. Hall has travelled widely and his knowledge of mushroom cultivation is international in scope. His firm, Truffles & Mushrooms Consulting Ltd., aims to further the cultivation of edible ectomycorrhizal mushrooms. He also directs the activities of Symbiotic Systems N.Z. Ltd, a company that studies the beneficial effects of mycorrhizas in forestry. Hall has published on a variety of topics in addition to edible mushrooms and mycorrhizas, including the pathology of grasses over sown into tussock grasslands and greenhouse design. He completed his PhD at New Zealand's Otago University, where he studied with Geoff Baylis. After his post-doctoral fellowship with Jim Gerdemann at Illinois University, Hall returned to New Zealand to work as an applied mycologist and plant pathologist with the Ministry of Agriculture and Fisheries (MAF Technology). "Aficionados, chefs, and cooking students can learn a lot here about these lords of the fungi realm." - Mark Knoblauch, Booklist, January 1, 2008. 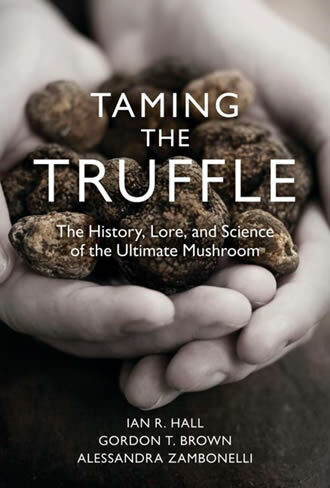 "Even if you don't crave growing truffles, this informative and highly readable book reveals the fascinating mysteries, lore, and biology of this ultimate food better than any other book in English. It is a paragon of science written for the interested layperson." - Jim Trappe, Gastronomica, Winter 2009. 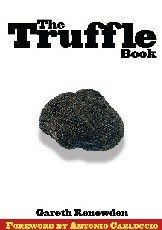 "This fascinating, lavishly illustrated volume ... will keep the reader engrossed through site preparations, irrigation methods - and, yes, the actual tasting of the truffle." - Lavender, November 21, 2008. "Filled with high-quality colour photographs. The prose matches the elegant pictures nicely, even humorously at times, and takes the reader through the history of truffle hunting and cultivation. ... [It] would certainly attract all levels of mycologists from beginner through advanced, but it has the allure and witty prose to inveigle those who never imagined they could share our love and interest in fungi." - Britt A. Bunyard, Fungi, Fall 2008.